At MIPIM 2016, Bordeaux Euratlantique hit the heights with a unique project in France: Hypérion and Silva, two 50m-high wooden towers in the Saint-Jean Belcier neighborhood. With its booming economic attractiveness, Bordeaux Urban Community stands out as one of the most dynamic areas in France. In this favorable context, the Metropole has engaged an ambitious development strategy, in which Bordeaux Euratlantique is in the foreground. The major real estate projects of Bordeaux and its region were presented at the 27th edition of MIPIM, the International Market for Real Estate Professionals, which took place from March 15 to 18, 2016 in Cannes. 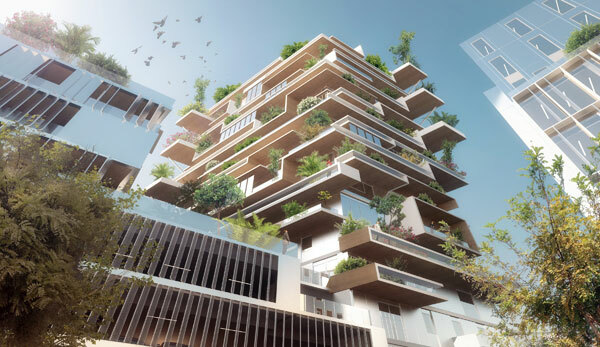 Two towers with poetic names, Hypérion and Silva, are the stars of this project because they will be born from architectural prowess and will be the first towers built of wood! Hyperion is the name of a northern California redwood, whose size culminates at over 110 m, what makes it the tallest living tree in the world. Bordeaux Euratlantique was commissioned in 2009 to transform five districts located in the towns of Bègles, Bordeaux and Floirac by 2020. Recognized Operation of National Interest, the project is one of the largest urban developments in France, outside the Paris region. Today, the Etablissement Public Urbain (EPA) will build on the left bank of Bordeaux. For this purpose, Bordeaux Euratlantique has selected the projects Hypérion by Eiffage and Silva by Kauffman & Broad. 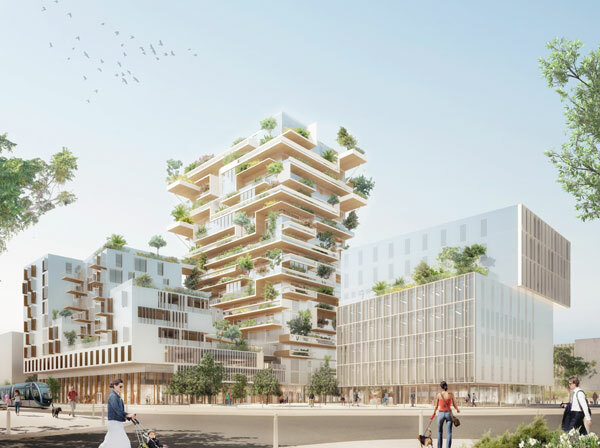 Two wooden buildings that are already announced as true architectural feats, since one of the two towers will be the tallest wooden office building built in France. 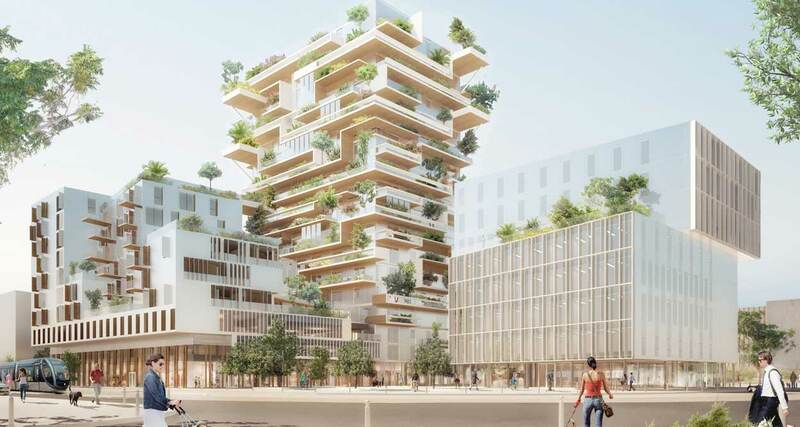 A way for the city of Bordeaux to display its strong ambition to develop innovative multi-storey construction systems. Presented as models, the wooden towers have attracted the attention of many real estate professionals in search of ecological innovations. 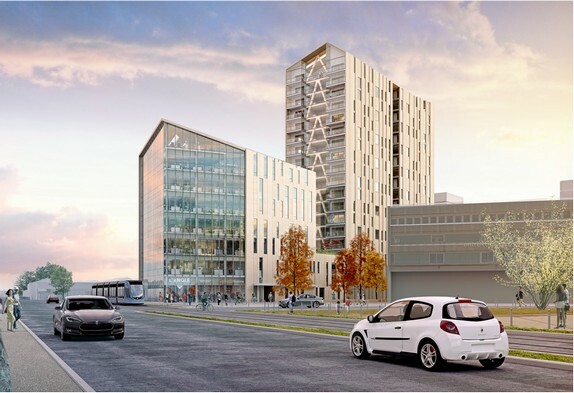 Both towers will be in the center of Bordeaux, near the Saint Jean train station and the future LGV station on Saint Jean Belcier district at the crossing of the Carle Vernet and Armagnac streets. The island will host on over 17,000 square meters 82 apartments designed as assembled houses around a vertical street, some offices, 500 m2 of shops and a car park on three levels. From an environmental perspective, the 50-meter Hypérion wooden tower will inaugurate a new generation of building with very low carbon footprint: the tower can indeed store the equivalent of 1,000 tonnes of CO2, or the the equivalent of the carbon emissions generated by the average energy consumption of such a building for more than nine years. Hypérion will be built in solid wood on a surface of 7,000 square meters, with a height of 57 meters and comprising a total of 18 floors. The EPA Bordeaux Euratlantique, after a call for proposals launched in July 2015, elected Eiffage for its construction, out of 9 candidates. 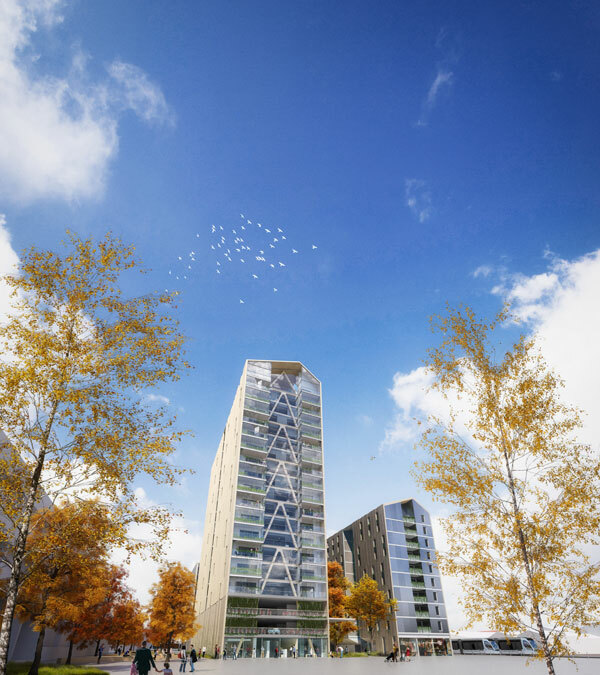 Eiffage will be accompanied by Clairsienne as social landlord, Woodeum as co project manager, the architectural agency Jean-Paul Viguier & Associés and the wood construction companies Lamecol and Sacba. The start of construction is planned for September 2017 for a delivery in January 2020. 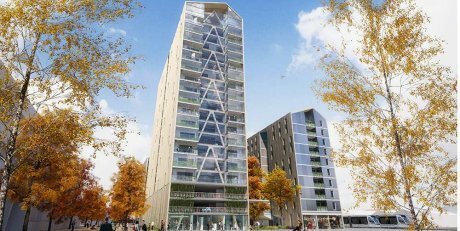 Euratlantique also retained a second 18-storey tower project: Silva by Kauffman & Broad, designed by Art & Build and the Bellecour studio, which will be facing the first tower. The wooden towers will have a classical facade, since the wood will not be apparent in front so as not to be exposed to the weather, and require in this case too much maintenance. Wood, however, will appear below the balconies of the Hypérion tower, where it will be protected. 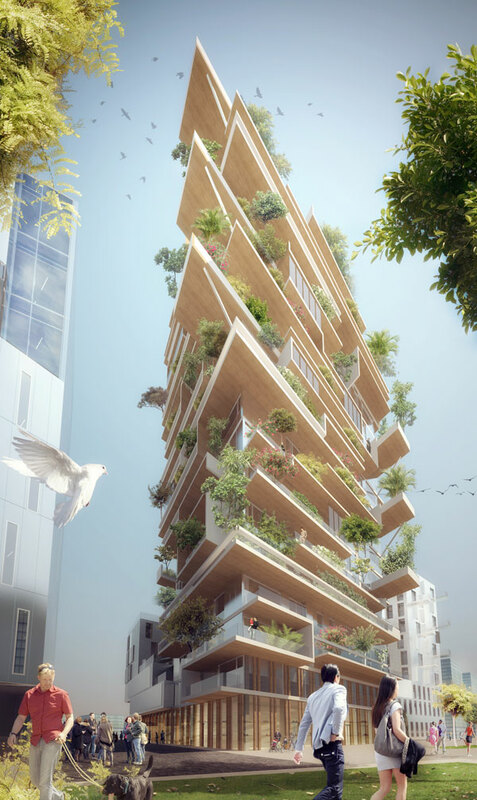 With these two projects using wooden supporting structure, this noble and ecological material will prove its ability to reach great heights, though, to ensure stability in the wind, the central core of the stairwells and elevators will remain in concrete.